Kuta (Antara Bali) – The Ministry of Transportation stated that until now the flight from and to Bali has not been affected by the condition of Gunung Agung in Karangasem regency which has been set up status due to the absence of volcanic ash. 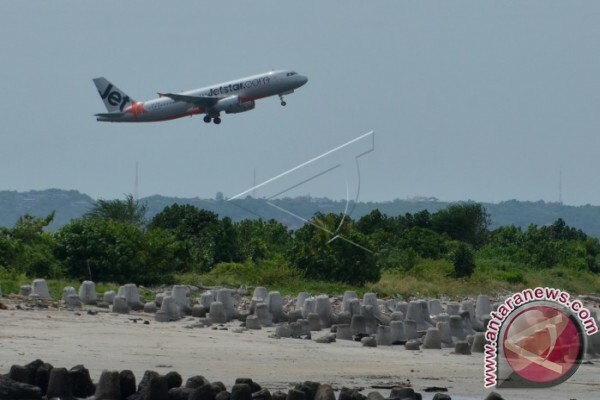 “During this week’s alert status there is no fear of flight as long as there is no volcanic ash,” said Air Transportation Director General Kushub Agus Santoso when welcoming the first flight of India-Bali Kolkata route by AirAsia Indonesia at I Gusti Ngurah Rai International Airport, Badung, Monday. Similarly, when the volcanic ash potential level of Mount Agung was raised to “orange” by the Vulcano Observatory Notice to Aviation (VONA) also has not had an impact on normal flight in Bali. However, during the alert status, it has publicized the pilots and flight actors to participate in reporting when they see the presence of volcanic ash. When finding the movement of volcanic ash, then the pilot can provide reports to officers on land in order to anticipate. “Until now, there have been no complaints and reports of the pilots, and satellite imagery has not been reported by volcanic ash,” he said. Previously Kemenhub has taken steps to anticipate although there is no volcanic ash mounted as high as 3114 meters above sea level. The anticipation involves holding the Directorate General of Land Transportation to provide approximately 300 buses to transport prospective passengers who want to choose a land route when the volcano erupts. Ten airports have also been prepared to anticipate the transfer of flights to the nearest radius of Bali namely Lombok Airport, Blimbingsari Airport Banyuwangi and Juanda Airport Surabaya.